What would happen if man’s mastery of the world was suddenly snatched away by a new and more advanced type of life? This is the startling premise of this unusual novel. It fell to two people to face the news that mankind was about to follow the dinosaurs off the Earth’s stage. One was Angus, veteran of a defeated Western army in a world devastated by atomic warfare. The other was Liu, woman officer of a conquering army she already knew was destined for destruction. How these two found the new master species and what they did about it is an exciting and thought-provoking science-fiction adventure. And Sputnik is sitting there on that pedestal, controlling everything. Great cover for a surprisingly great book. There was a lot that made me figure this would be a bad one. For one, the title is just garbage. Really generic garbage that gives us an interesting view of differences in the tastes in science fiction between the United States and the United Kingdom in the early 1960s. See, in Britain this book had the slightly more ominous, definitely more mysterious, but also maybe a bit goofy when you think about it, title of Midge. Now that I really think about it that title sounds kind of like a Sandra Dee movie. But still, it’s better than what we got. 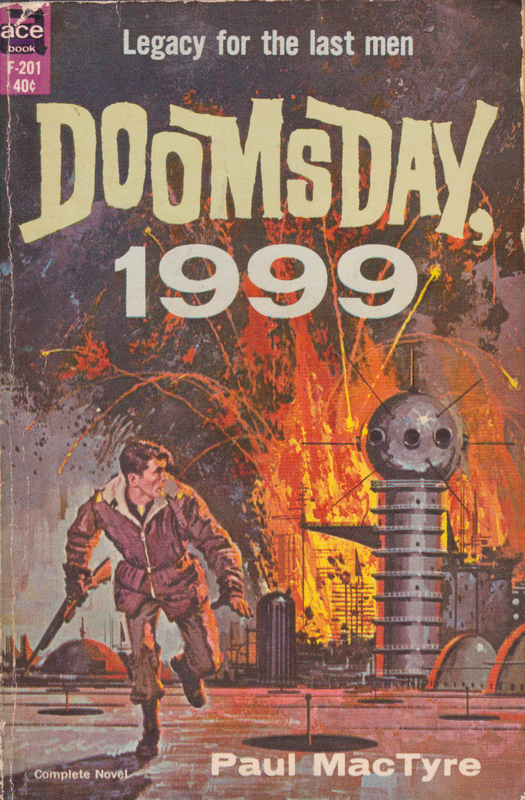 Because I’m sure you’re wondering, there’s actually nothing in the book to indicate whether or not it takes place in the far future year of 1999. We don’t get any date at all. So there you go. Thanks, American publishers. The other thing that made me cringe was the jacket copy. Mostly I was put off by the tone. This seems to be a common enough problem with old Ace Science Fiction books, where all they tell you is how daring and innovative and original the premise is. And usually they’re not any of those things. Here we have some copy editor telling us how bold it is to posit a new form of life rising up and taking over man’s position as dominant species. Yawn. To the book’s credit, it doesn’t gush over the idea quite as much as the back cover did. In fact, at one point I think the main character even talks about how this kind of thing has been talked about quite a bit. Or at least it was. Before the world ended. So our hero is either one of these guys. Take your pick. I know that Angus is a pretty standard Scottish name but come on, those are the two examples I can think of and neither of them actually fits this book. Confession: it took me until nearly the end of the novel to realize that it actually takes place in Scotland. To my credit, I knew it was somewhere in the UK, but I assumed it was England. This is despite characters with names like Angus, Ian, and so forth, not to mention a mountain with a Gaelic name. Sometimes I’m dense, I guess. To be fair, this book does not go out of its way to give us information. That’s one of the things I like about it. There’s a layer of mystery, that wonderful sense of what the hell happened, that is one good way to keep me invested in a story. This book handled that aspect quite well, even at the end when it turns into an exposition dump for a few pages. Color me surprised. So this grimdark future, whether it’s 1999 or not, comes about ten years after the commies kicked everybody’s asses. We aren’t given many details about the war, just that the Russians and the Chinese won it, and now England is occupied territory. Specifically, the Chinese got Britain. Everything has gone to hell in a radioactive handbasket. Food supplies are scarce. The governments got nuked (probably). People are desperate. There are concentration camps. Oh, and there are intelligent psychic swarms of midges. Confession II: I had to look up what midges were. I had an idea, figuring they were something like mosquitos, and I guess I was close to right, but I feel like full disclosure is warranted. The only other place I’d ever seen that word was The Lord of the Rings (the bit where Frodo and Sam are in the Dead Marshes). We don’t know that the midges are intelligent at first. We just know they’re different. Instead of stinging things, they tend to burn them to death somehow. We also know that, for reasons as yet unknown, Angus is immune to them. Or rather they just leave him alone. Angus is a hunter. He lives in a hunting lodge with a few other guys and their job is to go out and kill things and bring it back to the concentration camp. It’s pretty explicitly a concentration camp, although it’s not so much a Nazi-type one as an anybody-we-can-find-goes-in one. I guess it’s more of a work camp, but either way, it’s a bad place. It’s squalid and people die all the time while the camp command (called The Guards) live in relative luxury. In exchange for doing the hunting, Angus and pals get to live in relative freedom just outside the camp. All this changes when a helicopter crashes nearby. A little while later, a Chinese officer, Liu, shows up and collapses in the front door. The normal response to Chinese people in this world is to shoot on sight, but something prevents the guys from doing that in this case (hint: it’s because she’s a woman), so they let her live long enough to tell a bit of her story. Basically she was trying to trade guns for medicine with one of the other camps. Shenanigans! Angus agrees to help her carry out the trade. They get to the helicopter at around the same time as the leader of the other camp and see the guy ruthlessly execute Liu’s comrades and take the guns. Liu and Angus go on the run. In the meantime we learn that the midges seem to like them. Whenever they swarm around, Liu and Angus are able to psychically connect with one another. The midges protect them from some Guards. It’s all very interesting but then we leave that part of the plot for a while as the couple wander around trying to figure out what to do with themselves. They head to a Chinese camp and then have to escape. And then they come back home and have to escape again. And it’s generally a lot of escaping people who want to kill them. At one point they see Angus’s hunter pals get killed. In the meantime they learn that there’s someplace called Headquarters. Angus decides he wants to go there and see just what the heck is going on. Liu disappears for a bit, right after the two of them decide that they’re in loooooove. Headquarters turns out to be where we get our prime exposition dump. The guy in charge of it, simply called The Director, tells us a lot about what’s going on. It turns out that he’s in charge of what is essentially the last dregs of civilization. He’s got an atomic reactor providing power. He’s also turned “science” into a sort of religion that keeps people in line. Among other things, there are regular sacrifices to the reactor to keep it happy. It turns out that The Director was a psychologist before the war and he’s using these weird religious trappings to control folks. Liu shows up and The Director threatens to sacrifice her to the reactor unless Angus is able to help him out. The Director is curious about the midges. He knows that for some reason the midges seem to like Liu and Angus and he wants to know why. There’s a lot of scheming, with The Director telling Angus that if he cooperates he’ll be trained as The Director’s successor, but this goes bad when all Angus can tell The Director is that the midges like him because he’s nice to them. In a show of action-hero manliness, Angus knocks The Director out and takes his truth serum. It’s funny to me that this truth serum is treated like some kind of weird new gadget when by this point it’s kind of a cliché. 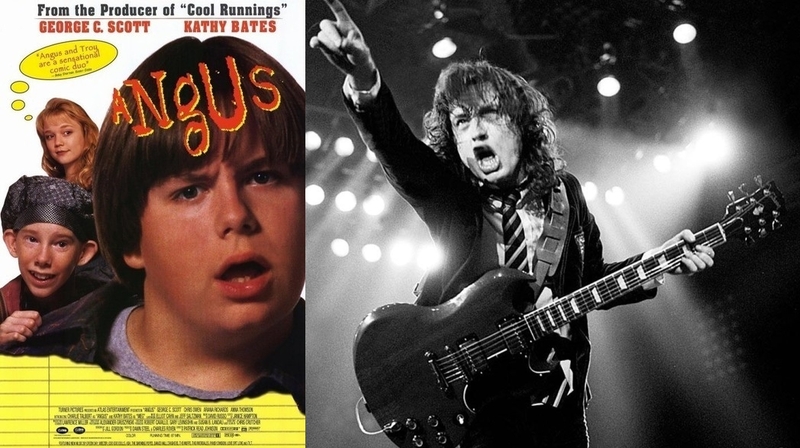 Angus decides that he needs to kill The Director and chooses to do it in as ironic a way as possible: he’ll make him sacrifice himself to the reactor. What’s neat, though, is that that doesn’t work. Just before going into the reactor The Director starts to come to his senses, so Angus just shoots him. Angus shuts down the reactor, which was providing power to the concentration camps as well, and he and Liu flee. They meet some escapees that are just standing among the midges. Liu explains that while Angus was off being a hero she was communing with the midges. She learned that they’re actually pretty pacifist and don’t understand why humans feel the need to kill each other all the time. One by one she convinces these people to lay down their arms, which leads the midges to accept them into the swarm. The book ends with Angus being the last to do it. All told, this was an exciting and well-told story. It did get a little preachy at times, but on the whole it was full of action and mystery and some neat sci-fi elements that worked really well with the story. I liked this book. It did slack off in the middle and start to meander from one problem to another, usually in an attempt to highlight Man’s Inhumanity to Man, which is where a lot of the preachiness comes off. It was saved, though, by having Angus be just another guy with problems. He was a very human character and definitely not some kind of moralistic übermensch that saves the day. In fact, I think Liu gets a lot of the credit for saving the day. She’s written pretty well. She’s got a lot more agency that I expected from a 1962 novel. Between being a woman and being Chinese I fully expected her to be this huge batch of stereotypes that would leave me annoyed, but it turned out that she was just another person trying to survive in this crazy world of the post-apocalyptic future. She’s the one who figures out that the midges are intelligent and learns how to communicate with them. I’m sure if I tried I could dig out something from that, maybe that her womanliness or an understanding of the Tao was what allowed her to pursue a non-violent tactic, but the book didn’t come across as supporting that idea. She was just the one who did it, mainly because she was better at it than Angus. What was best about this book was the sense of isolation it provoked. We know nothing about what’s going on outside of this little area of Scotland. The world, for all we know, is on fire and these are the only people left. Liu drops some hints that the Chinese Empire is still going but that it’s rotting from the inside out. We know nothing of America, or Europe, or even the rest of the UK. We learn very little about the war that started this whole thing. Nobody walks around spouting “as you know” at anybody else. When I first read the back cover about how some kind of species was evolving that might take over where man left off, I was expecting this book to be about some kind of beast stalking our survivors. Like some kind of raptor or something. The fact that it was a swarm intelligence of tiny bugs was a pleasant surprise. It’s not an entirely new idea then or now, but it was handled well. One gets the feeling that the bugs aren’t even the real “successor to man,” but rather that a symbiotic relationship between the bugs and humans will be what gets us through this crisis and into the future. And I like that. Despite the corny title and the weird back cover stuff, I’m giving this book an a-ok in my listings. Paul MacTyre, whose real name seems to be Robin James Adam, only wrote three books, and apparently this is his best-known one, but if I find one of the other two, I’ll likely pick it up. I recommend you do the same.